Android is a highly customizable operating system. 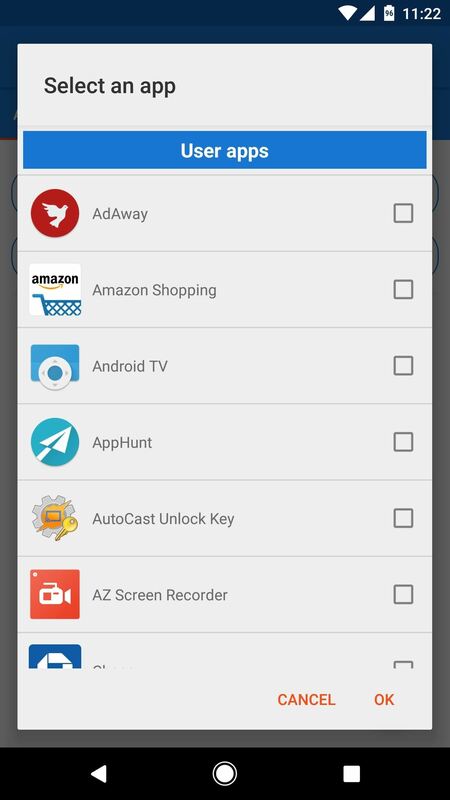 Sometimes, we use these capabilities to add core functionality or streamline the user experience, but there are other times when customization is just about having fun and making your smartphone's interface more enjoyable. 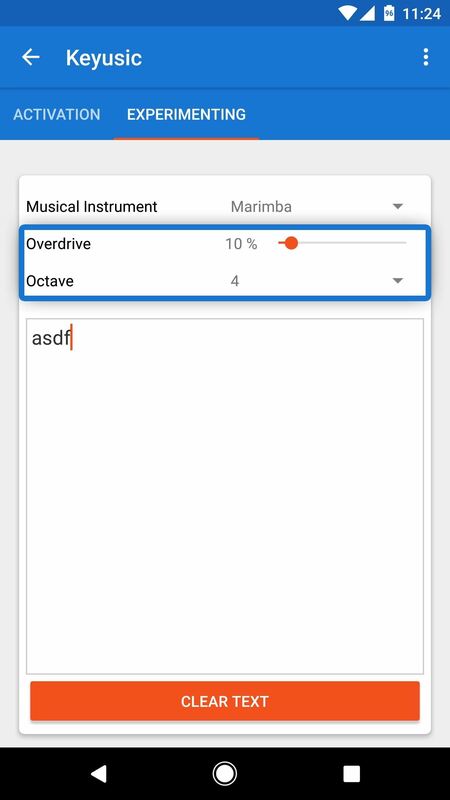 The latter is the category where a new app from developer Ouadban Youssef comes into play, as it turns any Android keyboard into a musical instrument of sorts. 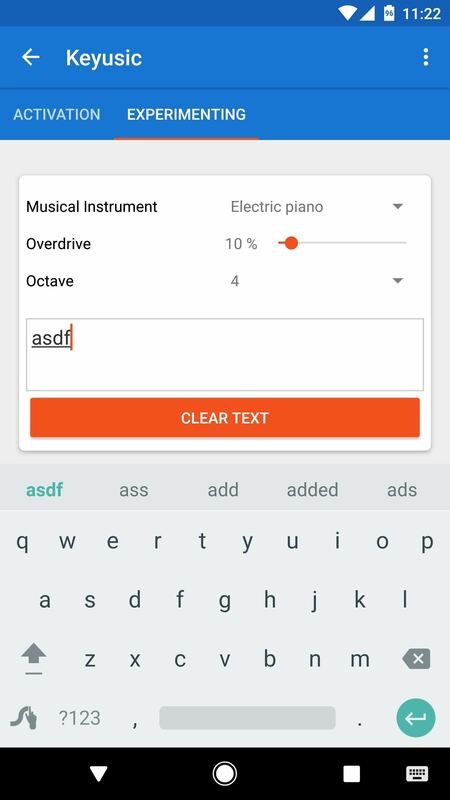 You can pick from several synthesized strings, horns, and percussions, then every letter on your keyboard will play a different note as you type. It's really a fun little tweak, so I'll show you how it works below. 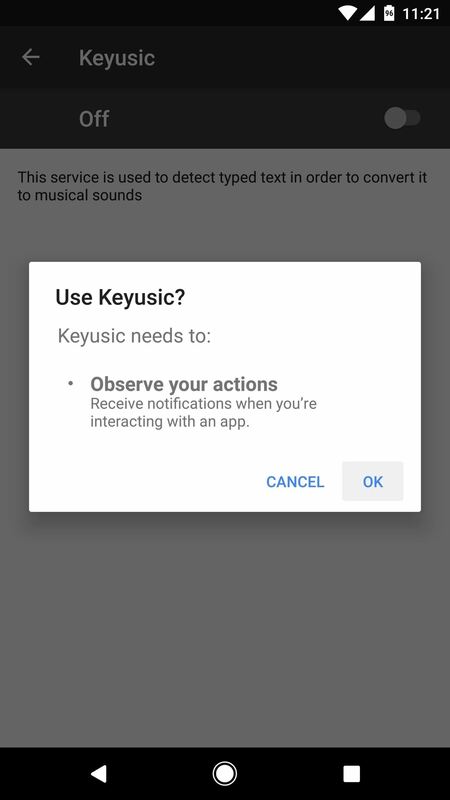 To turn your keyboard into a musical instrument, start by installing Youssef's app, which is called Keyusic - Keyboard Sounds. Open Keyusic, then tap the toggle switch next to the "Start up" option. 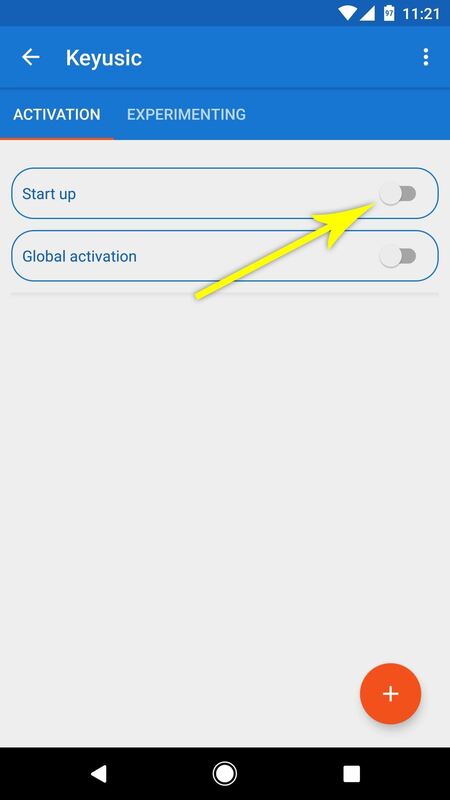 From here, you'll be prompted to enable the app's Accessibility service, so tap "Show the Settings" on the popup. After that, select Keyusic from the list, enable the switch at the top of the screen, and press "OK" when prompted. 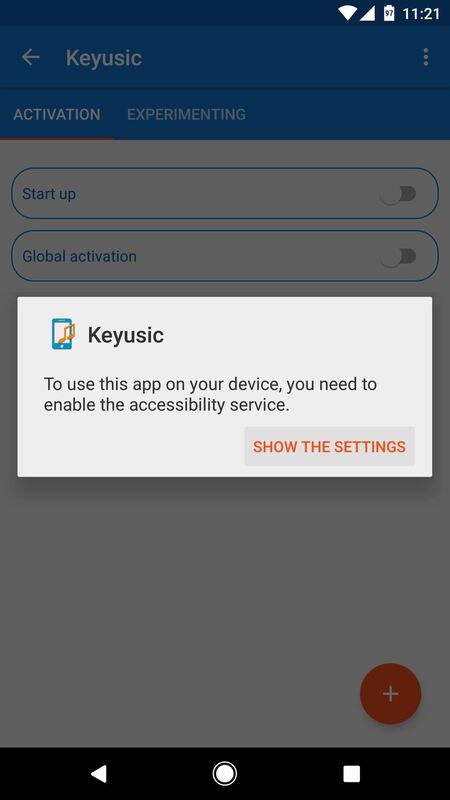 With the Accessibility service enabled, head back to Keyusic and tap the "Start up" toggle switch again—this time it'll actually turn on. 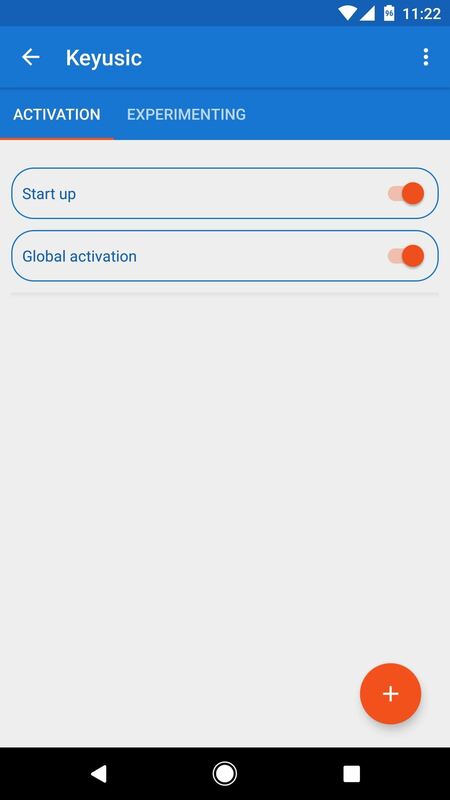 From here, you've got two options: Either tap the + button at the bottom of the screen, then select individual apps that you'd like to use the musical keyboard in, or simply enable the "Global activation" switch if you'd like to use the musical keyboard in all of your apps. Head over to the Experimenting tab in Keyusic. From here, you can type in the provided field to test out the musical keyboard, so try it out with the default settings first. 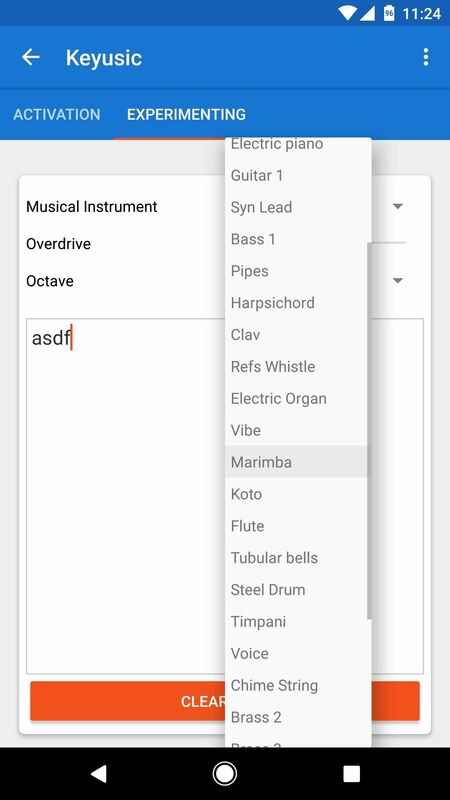 If you'd like to use a different instrument, select one of the many options from the first drop-down menu. Aside from that, you can adjust overdrive and change the octave to make the sound higher pitched or give it a little reverb, so play around a bit to find the perfect sound for you. From now on, your keyboard will simply make music as you type. The sound level is tied into your system media volume, so you'll probably want to set that somewhere in the middle to ensure that you can hear the sounds without them being too over the top. Each letter on your keyboard will play a different note, too, so the words you type will be like mini musical compositions!